A colleague of mine has a jackalope mounted on the wall of his office. 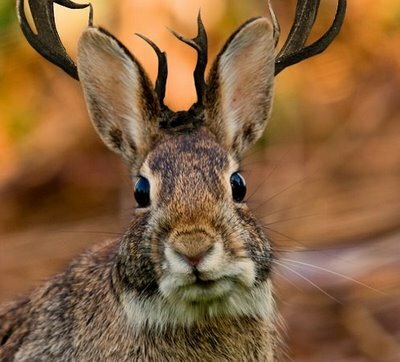 A jackalope, if you haven’t seen one before, is a combination of a jack rabbit and an antelope. While I’m no expert on the mating habits of jack rabbits and antelopes, I imagine jackalopes are pretty rare. So, too, are cases involving both construction law and constitutional law. You just don’t see them very often. Yet, in Alpha and Omega Development, LP v. Whillock Contracting, Inc., 11 C.D.O.S. 13552 (November 2, 2011), the California Court of Appeals for the Fourth District found itself dealing with that rare breed of case involving both construction and constitutional law. In Alpha and Omega, Whillock Contracting, Inc. (“Whillock”) recorded a mechanic’s lien against a mixed-use residential and commercial development in San Diego, California owned by Alpha and Omega Devlopment, LP (“Alpha”). Whillock then filed suit to foreclose on its mechanic’s lien and thereafter recorded a notice of pendency of action also known as a lis pendens. In response, Alpha filed a motion to expunge the lis pendens under California Code of Civil Procedure section 405.32, on the ground that Whillock could not establish the probable validity of its mechanic’s lien claim, which the court granted. A privileged publication or broadcast is one made: . . . (b) In any (1) legislative proceeding; (2) judicial proceeding, (3) in any other official proceeding authorized by law, or (4) in the initiation or course of any other proceeding authorized by law and reviewable pursuant to Chapter 2 (commencing with Section 1084) of Title 1 of Part 3 of the Code of Civil Procedure, except as follows: . . . (4) A recorded lis pendens is not a privileged publication unless it identifies an action previously filed with a court of competent jurisdiction which affects the title or right of possession of real property, as authorized or required by law. The trial court agreed, dismissed Alpha’s complaint, and Alpha appealed. On appeal, Alpha argued that that Whillock’s lis pendens was not a privileged publication because, by granting Alpha’s motion to expunge the lis pendens, the trial court had found that the lis pendens “lack[ed] evidentiary merit.” The Court of Appeals disagreed, finding that under Civil Code section 47(b)(4), Whillock only had to satisfy two requirements for its lis pendens to be a privileged publication: (1) that the lis pendens identify an action “previously filed” in a court of competent jurisdiction; and (2) that the lis pendens affect title or right to possession of real property; both of which, the Court of Appeals held, had been satisfied by Whillock. We reject Alpha’s interpretation of subdivision (b)(4) of Civil Code section 47 . . . the language of subdivision (b)(4) of Civil Code section 47 is not ambiguous and in any event is not reasonably susceptible to a construction that would create an additional exception to the absolute litigation privilege based on the lack of “evidentiary merit” of a claimant’s real property claim in connection with a recorded lis pendens. The Alpha and Omega decision should give mechanic’s lien claimants a collective sigh of relief. Particularly, since as I reported in an article I wrote earlier this year for my law firm, as of January 1, 2011, California law now requires that a lis pendens be recorded within 20 days after filing an action to foreclose on a mechanic’s lien. Before the new law went into effect, the recording of a lis pendens was optional. Thanks for the comment Julia! Nice perspective from the world of bankruptcy, particularly, given what has continued to be trying times for many. Great article. In rare circumstances, we have seen in my practice that a debtor in Chapter 7 bankruptcy records a lis pendens. I think that circumstance, there is no litigation privilege because the debtor does not own the litigation–it is part of the bankruptcy estate and solely administered by the Chapter 7 Trustee. Accordingly, a debtor in Chapter 7 may not record a lis pendens unless the Trustee has abandoned the claim. I think slander of title may be viable claim in that circumstance, beyond simply getting attorneys fees for the motion to expunge the lis pendens.